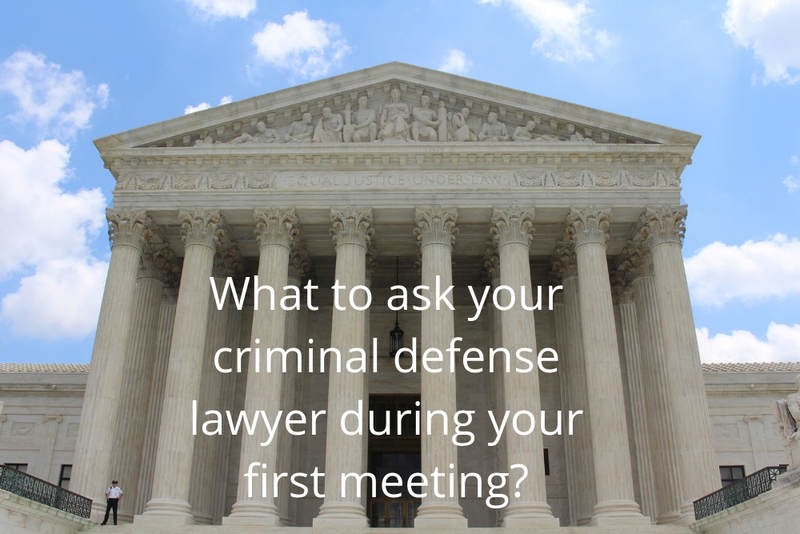 What to ask your criminal defense lawyer during your first meeting? Needing a criminal defense lawyer is one thing you wouldn’t want to experience in your life. But sometimes, this can’t be avoided especially if you are in dire need to defend yourself. For this reason, it is important to consider these questions before choosing your criminal defines lawyer in Iowa. Question 1: How much will it cost me? Sure! You wish to clear your name from all accusations, but it doesn’t mean you are ready to lose most of your life’s earnings, too. Thus, it is important to clarify their rate during your initial engagement with them. Are they going to charge you on an hourly rate or a flat fee? Will there be a retainer fee? What other fees will be involved? What happens when the case goes on trial? Question 2: How can I further strengthen my case? You must be eager to defend yourself, and one of the things you can do is to strengthen your defines. Do this by gathering all documents and records that could be related to your case. However, if you are suffering from any anger or substance abuse problems, then enrolling in rehabilitation and counseling program can also give you additional benefits. As for the things you should refrain from doing, it is best to ask this to your lawyer. Remember that it is of your best interest to follow their advice as it can make a very big difference in your case. Question 3: What are the alternatives to my case? Always consider the alternative options that will allow you not to go to prison. This may either be in the form of home detention, therapy, probation, work programs or community service. However, ensure that you also now the pros and cons of these sentencing options so you can properly decide on what to choose. Question 4: Who will handle my case? Should you want the lead legal counsel to handle your case, then you should tell him upfront of this matter. Otherwise, ensure you are comfortable with the counsel that will be given you. Question 5: Can you guarantee the outcome of my case? Question 6: Do you have any conflicts of interest? You will be entrusting your future freedom in the hands of your chosen criminal defense lawyer. Thus it is important to know if they have any conflicts of interest in your case. Question 7: Why should I hire you? The most difficult question to throw at them would be this one, but can easily be answered by an experienced lawyer who has confidence in his skills and knowledge. This is very important because only in the hands of a lawyer whom you have confidence in can you share the entire details of your case. Fight for justice and freedom. Hire someone who has years of experience in your case. Call Corey Goldensoph at +1 319-364-5525.